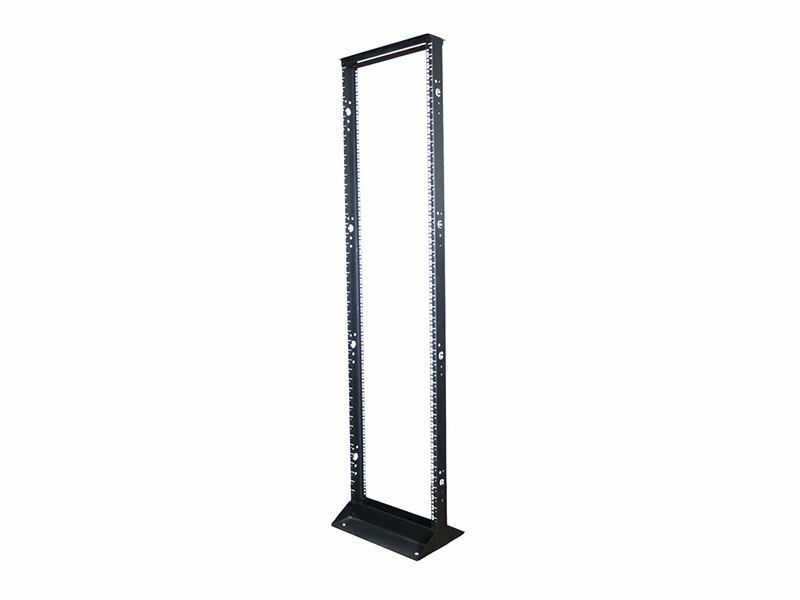 This 2-Post Floor Mount Rack is an economy 2-post open frame rack. These racks are constructed of heavy duty steel and are built with a cage nut rail design. They are ideal for mounting of patch panels, hubs, routers, telephone equipment and more. 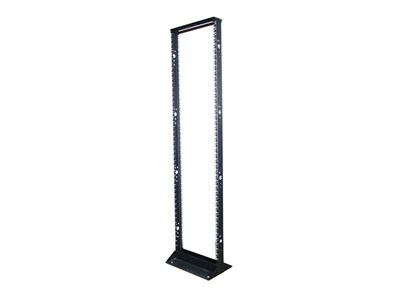 They have a black microfinish with numbered rack units, and are available in a 7ft. height.